Finding the right Glendale personal injury lawyer you need, is as easy as calling the Law Offices of David Azizi today at 800-991-5292. We have a professional staff that can assist you in recovering for your pain and suffering, injuries, loss of income and medical bills. Before accepting the check from an insurance company, it is a wise choice to contact a respected personal injury lawyer so he can evaluate your case and determine how much you should be receiving for your injuries. If your car has been damaged in an accident, the case settlement will cover a rental vehicle. You do not have to pay us any money for our legal fees until we win your case. We work on a contingency basis. This means we do not get paid until you receive your settlement check. Medical treatment after an accident will be paid after the case is settled. Each case is unique. Feel free to give us a phone call at any time. We are available nights and weekends as well as during business hours. We recognize an accident or injury doesn’t always happen during the normal 9 to 5. David Azizi has over 21 years of experience when it comes to personal injury law. He is recognized by the legal group forum Avvo, Expertise.com and Super Lawyers for his ability to help clients and his knowledge of the law. 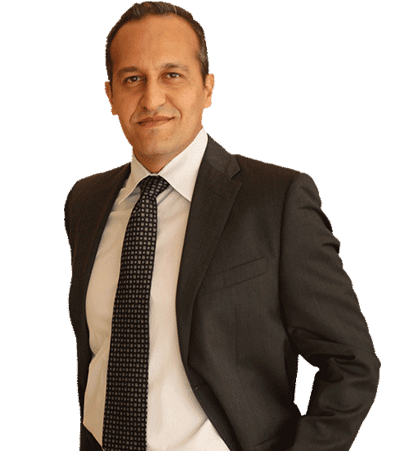 If you want to work with one of the most experienced Los Angeles personal injury lawyers contact David Azizi today. Glendale, California, has many major interstates and highways running through and around it. Interstates 5 and 210, along with US Route 2 make up the busiest roads in this part of southern California. Other highly used roads include North Verdugo Road, Cumberland Road and San Fernando Road. With a large number of drivers traveling on Glendale, California streets, roads and highways, accidents are going to happen. If you have been injured due to the negligence or another car or truck driver, contact us today. We will work hard to make sure you receive maximum compensation for your injuries. Restaurants, grocery stores, supermarkets and big box retailers have thousands of customers every day in Glendale, California. It is the owners duty to make the customer’s shopping or dining experience free of potential hazards. There are companies that have been known to be negligent when it comes to cleaning up spills or leaving merchandise sitting in the way. If you have been injured in a slip and fall or trip and fall accident in Glendale, California, contact our law firm today. Glendale is one of the most beautiful parts of the entire state of California, luring many motorcyclists. While most will enjoy a great ride, there are the few that will be injured at no fault of their own. If you have been hurt in a motorcycle accident due to a negligence, contact Glendale personal injury lawyer David Azizi. With many major interstates and roads in this part of Los Angeles County, trucks are a common sight. When these big rig trucks get into accident, they often cause horrific injuries and multi car pile ups. If you have been injured and are seeking legal representation by a Glendale truck accident lawyer, contact David Azizi today at 1-800-991-5292. When you are hurt in an accident due to negligence, you need an attorney. Call David Azizi at 800-991-5292, for a free case evaluation.